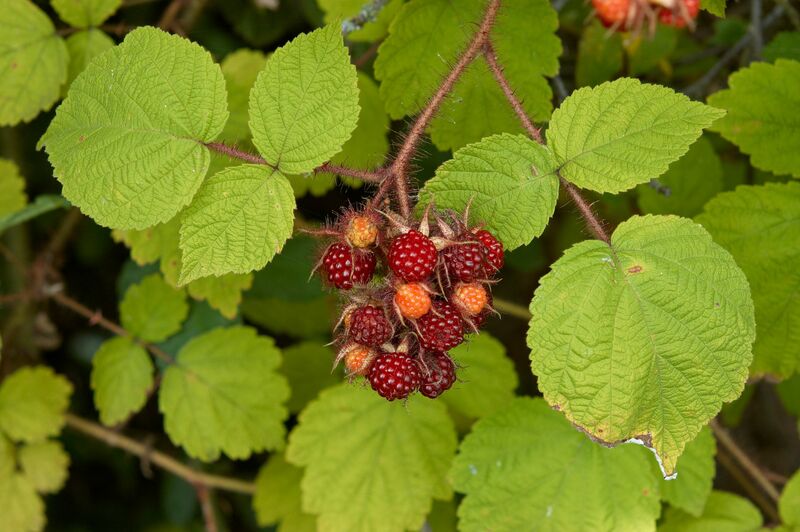 Rubus phoenicolasius is a shrub to 2 m tall; stems arching, densely red-hairy, sticky, with a few prickles. Leaves alternate, 3-parted, densely white wooly below. Flowers white, sepals red-hairy; inflorescence branched. Fruit about 1 cm wide, of numerous 1-seeded red, fleshy, translucent drupes; detaches from base when ripe; bird dispersed. 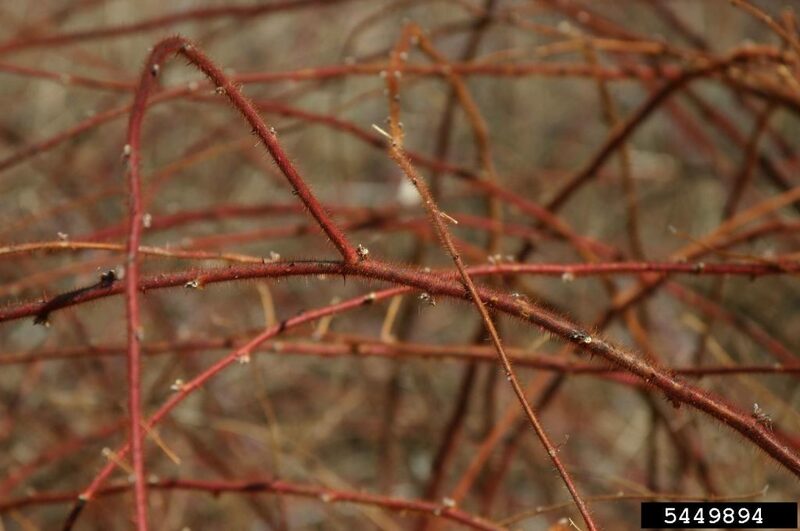 Rubus phoenicolasius.wineberry canes.wineberry canes.Photo Leslie J. Mehrhoff.University of Connecticut.Bugwood.org.New York Invasive Species.info (Accessed 2/2017). Habitat: Part-shade, second growth woods, edges, fill. Invasive, displacing native shrubs and herbs.